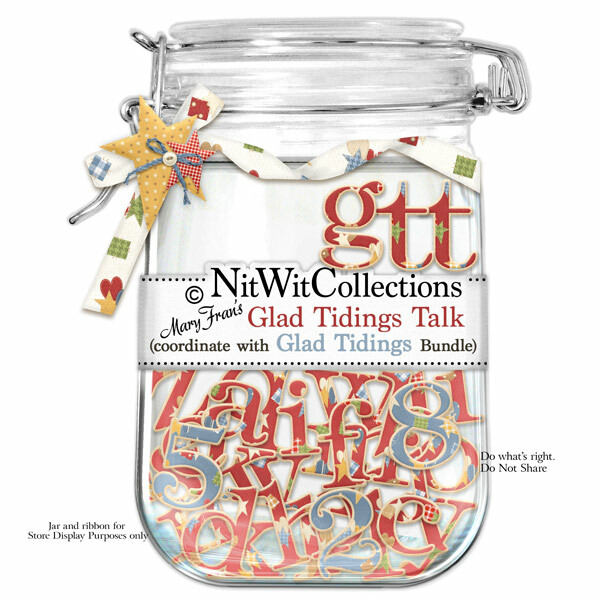 "Glad Tidings" Talk is a festive alpha in a fabric covered, chipboard style. What Christmas wishes will you spell with these? This Alpha colour coordinates with our FQB "Glad Tidings" Collection. 1 AlphaWit set of lowercase letters, &, apostrophe, exclamation mark, question mark and set of numbers (0 to 9) Letters are in a red fabric and numebers and punctuation are in blue.